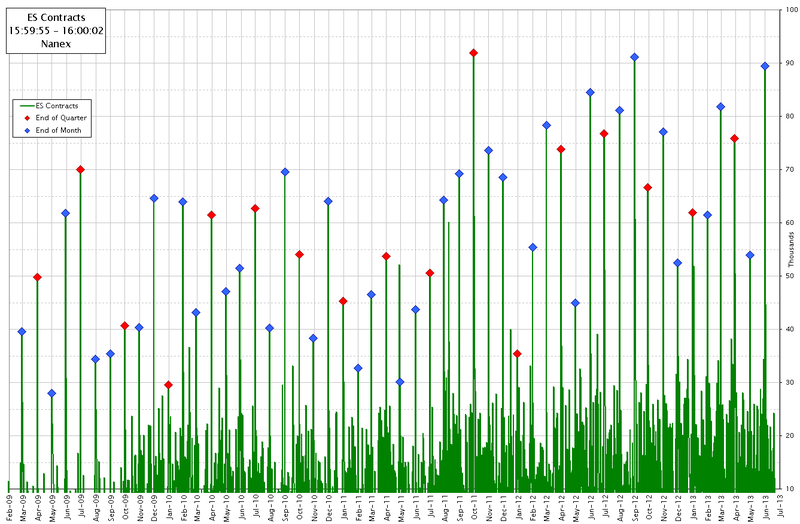 The chart below shows the number of eMini contracts (ES futures) traded between 15:59:55 and 16:00:02 for every trading day from February 2009 through June 21, 2013. Red diamonds indicate the last trading day in a quarter, blue diamonds indicate the last trading day in a month. 1. ES Futures Contracts Traded (in thousands) Between 15:59:55 and 16:00:02 Inclusive.